The found footage time travel movie Project: Almanac endured a last minute post-production treatment before it hit cinemas. The reason for that, however, is not censorship but rather piety. 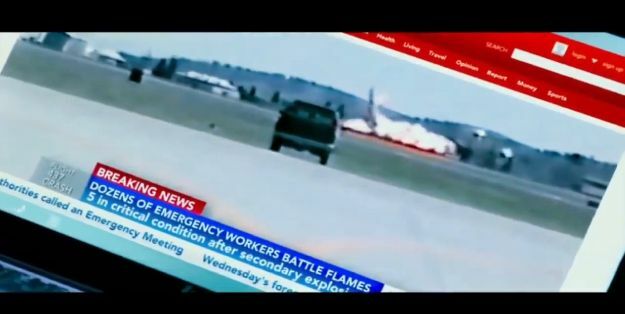 Michael Bay produced the film and personally intervened at the studio to remove a scene that shows how a military jet falls to the ground and explodes. He did that because the relatives of the two soldiers that were killed in that accident back in 1994 saw the scene in the film's trailer and were upset about it. They contacted the filmmakers and asked them to take it out. Since Michael Bay is well-known for his love of the military and made it happen.